Know the numbers, do the test! In a season where wines may have come in with less margin for error than usual, it is very important that you know what you are dealing with so you can act accordingly. It is highly recommended to make sure you do proper analysis and monitoring, and that additions and topping are done in a timely fashion. Following are some parameters you should be testing to know how to best care for your wines through aging. Important parameters to test as soon as your wine has finished malolactic fermentation include pH, TA, VA, malic acid, residual sugar and alcohol. pH will affect microbial stability and efficacy of SO2 while TA will affect how much you can add. If you are interested in measuring just how much acid you need to add to affect the pH, you can follow this protocol for acid trials. It is highly advisable to adjust pH to “safer” ranges with tartaric acid as soon as malolactic is complete. This will allow more time for integration of flavor and give you the most SO2protection. Though many of the spoilage organisms we are worried about are active above a pH of 3.5, acid adjustments below this may not be possible. There is a commonly cited limit of 3.8 as a hard target in red wines, particularly for Brettanomyces. If you are targeting a specific molecular SO2, you can use Wine Adds or other online calculators to determine the pH and free SO2 level you need to achieve that goal. . Measuring malic acid and residual sugar will tell you how microbiologically stable your wine is. Lactobacillus and Brettanomyces feast on these leftover nutrients, producing acetic acid, ethyl acetate and other off flavors and odors along the way. In a year with potentially higher VA coming in, it is important to protect against any additional potential for spoilage. 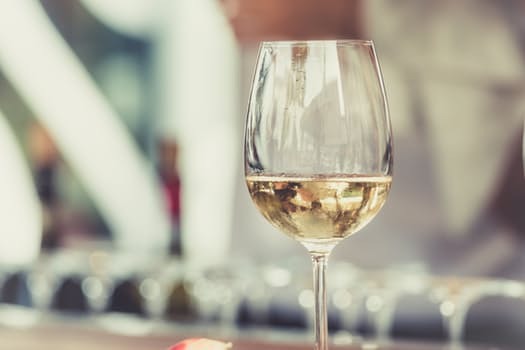 Keep in mind that malic acid chromatography has a detection limit of 0.3 g/L while wines are not truly considered ML dry until below 0.15 g/L or lower. (Different sources cite different levels for “dry”.) If you are planning to age your wines for a long time, have high pH, or plan to bottle unfiltered, a more stringent target below 0.05 g/L may be in order. It may be worthwhile to send samples for enzymatic analysis to confirm ML has completed before you add SO2. Get the volatile acidity tested and monitor it regularly. Keep in mind that most measures of volatile acidity are really reporting acetic acid. Ethyl acetate is not included in this measurement. If you suspect ethyl acetate in your wine, you will need to request this as a separate test. A certain amount of VA accumulation is expected during aging, so having a baseline and monitoring periodically through elevage is a powerful tool to catch if a wine is aging poorly. Generally 0.7 g/L is the threshold for detection in red wines. The threshold for white wines varies greatly by varietal and style. There are several other parameters you can check if you are concerned about spoilage. The laccase enzyme is produced by Botrytis cineraand is NOT inactivated by alcohol or SO2. This enzyme can cause browning in white wines, color degradation and oxidation in rose and red wines. Wines with high laccase concentration should not be aged for a long time, and care should be taken when blending laccase positive wines with laccase negative wines. If you are concerned about laccase, commercial testing facilities can measure this for you. Microbial analysis is also available to determine if intervention such as chitosan fining or filtration are needed. Scorpions are a PCR based test that detects presence of DNA from spoilage organisms while plating methods determine which organisms are present in active cells. Jackson, R. S. (2014). Wine science: Principles and applications. London: Elsevier/Academic Press. Scottlabs (2018). Post Fermentation Management Plan. Personal Communication with Megan Hereford, Oct 2018. Wann, G. (2016, February). Microbial Stability. Lecture presented at UC Davis Online Course: Wine Production.